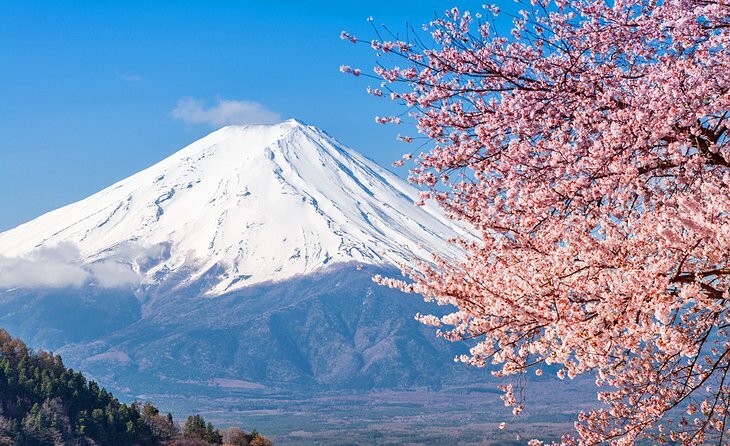 Japan is one of the most ideal places in the world for hiking activities, you can walk on the Japanese Alps and the huge snow-covered mountain in Hokkaido, climb the volcano in Kyushu, or walk on the hills around Kyoto. Come here, you don’t need to worry that you are alone, because Japanese people are very interested in hiking activities. If you are living in Japan or exporting Japanese labor do not miss this travel opportunity. Daisetsuzan means huge snow mountain, this is a very old mountain in Hokkaido. When the snow on the mountain melts, it is a perfect time for hiking. Daisetsuzan National Park is Japan’s largest national park covering an area of ​​more than 2300 square kilometers. This is a vast area with many beautiful scenes such as high mountains, active volcanoes, hot spring baths and dense forests. Daisetsuzan National Park is a place where people in Tokyo and Osaka come to rest after their daily stressful work. The place is mostly affected by human hands, most tourists come here to rest in the hot spring village in the periphery. After enjoying the comfort of the hot springs, you can explore the interior of the park, the peaks and hikes across the valley on challenging routes. Kamikochi is a mountain sanctuary in the heart of the Japanese Alps, where there are the most beautiful and spectacular landscapes in Japan, especially the beautiful and suitable trails for operation. Long walk. At the end of the 19th century, this mountainous area was discovered by foreign explorers and named it Japanese Alps Mountain. Pastor Walter Weston, an English missionary who helped make climbing become a popular sport in Japan. He was honored at a festival held on the first Sunday in June, which was the official opening day of the hiking season, and Kamikochi became a popular venue for the operation of hiking and climbing. If you come to Japan on July or August days, exploring Mount Fuji is an experience that you should not miss. At 3776m altitude, Mount Fuji is the highest and most famous mountain of Japan and is the place where you can see the whole landscape of this area. In addition to climbing Mount Fuji. In winter and spring is the time when the scenery at Mount Fuji is the most beautiful of the year.